If you are looking for information on the Huddle House franchise business opportunity, Huddle House restaurant franchises or Huddle House restaurants franchising, then you have come to the right place. Our Mission Statement: "Huddle House is open 24 hours a day, serving delicious meals, cooked to order ... a place where hungry folks gather to enjoy good food, good friends and good hospitality." This statement is our customer pledge. With national name recognition in the unique 24-hour family dining restaurant segment, our company continues to grow at a phenomenal rate due to the high level of excellence expected and delivered by our franchisees. The Huddle House Franchise and Development team is ready to assist you in becoming a member of our family of worthy business partners. The Franchise and Development playbook is full of strategies and proven procedures to make the most of your business venture. From a single-store operation to a multi-store development package, from free standing units to co-branded locations, the Huddle House team offers you 36 years of experience in the 24 hour family restaurant marketplace, as well as strong operations, training and corporate support. The services and advantages available to you in connection with a Huddle House franchise are numerous and combine to make this a complete turn-key business opportunity. Huddle House offers support in various aspects of training, operations, marketing, & advertising. Our Engineering and Construction departments will assist you with proper decisions to make your new restaurant a reality. We've created several efficient and economical building plans that suit our 24 hour restaurants, and will meet the requirements and dimensions of your construction site. 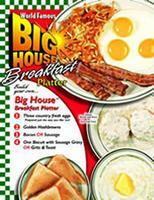 Huddle House offers the best formula for success ... 24 hours a day, 7 days a week, 3 distinct meal periods a day. Join our team and create your own business.